This is beaded Czech glass chain. 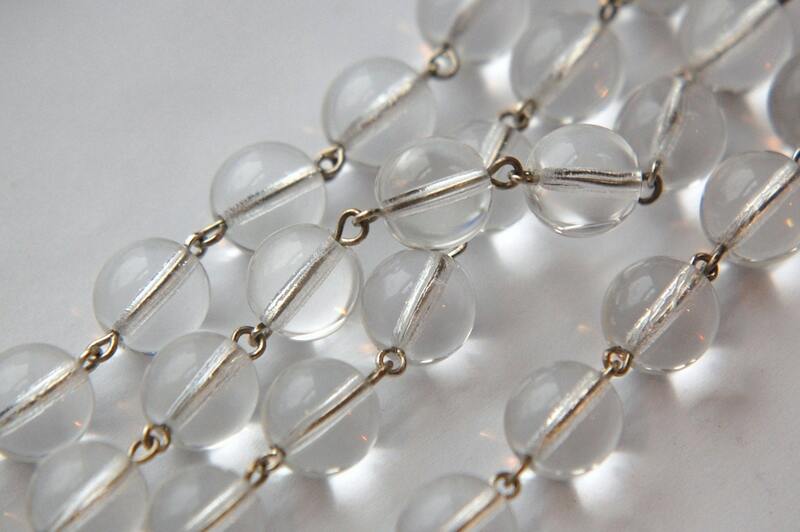 The beads are a smooth crystal clear and measure 10mm. The links are silver colored. You could take this apart and have looped connector beads. This is cut to order. If you would like a longer continuous piece convo me for a reserved listing. This price is for one foot. Hi, I'm very pleased with my purchase. It arrived at no time, which is absolutely great ! I like the quality of the Crystal chain. My necklace is almost ready ..... Thank you very much.